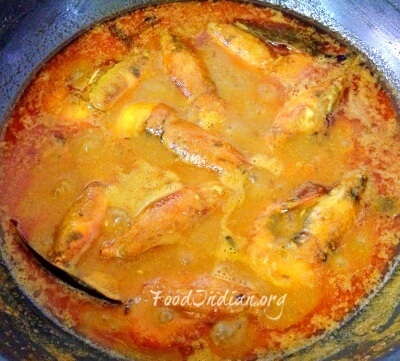 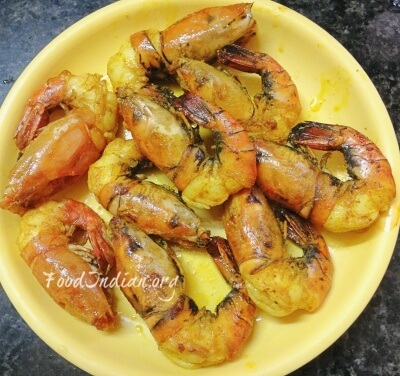 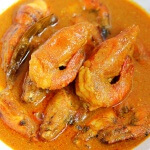 Prawn Malai Curry or Chingri Malaikari is a Bengali delicacy. 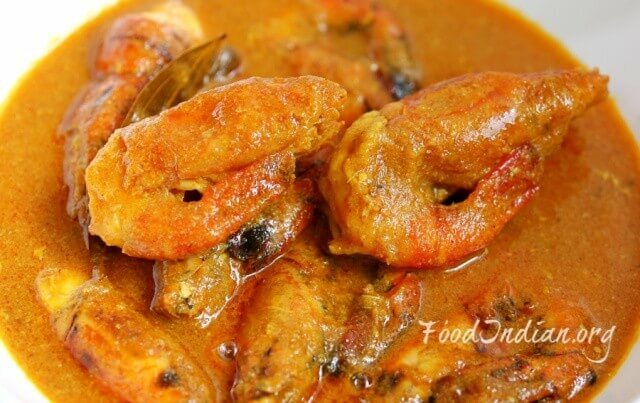 This recipe is the authentic version of Chingri Malaikari. 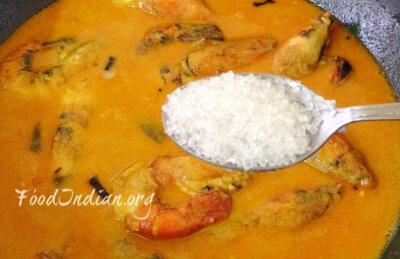 In this recipe, jumbo prawns are cooked in onion gravy and rich coconut milk, and this combination with prawn tastes divine. 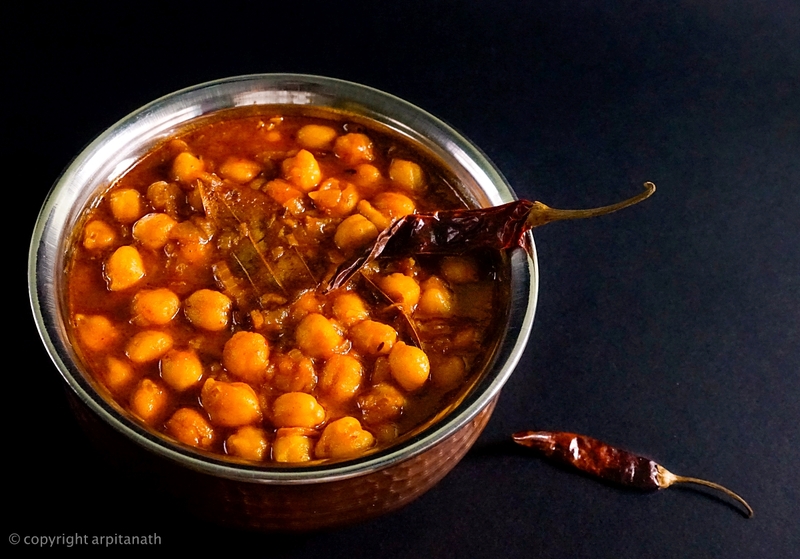 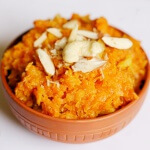 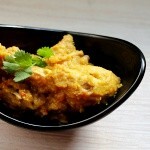 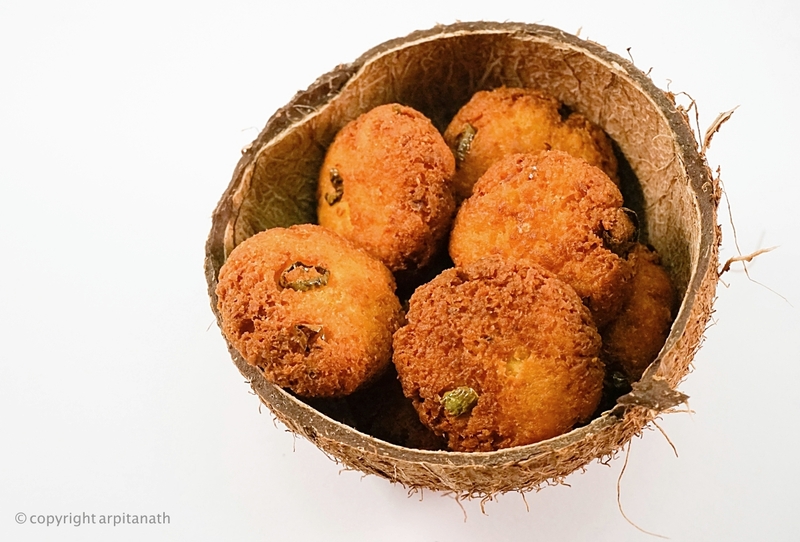 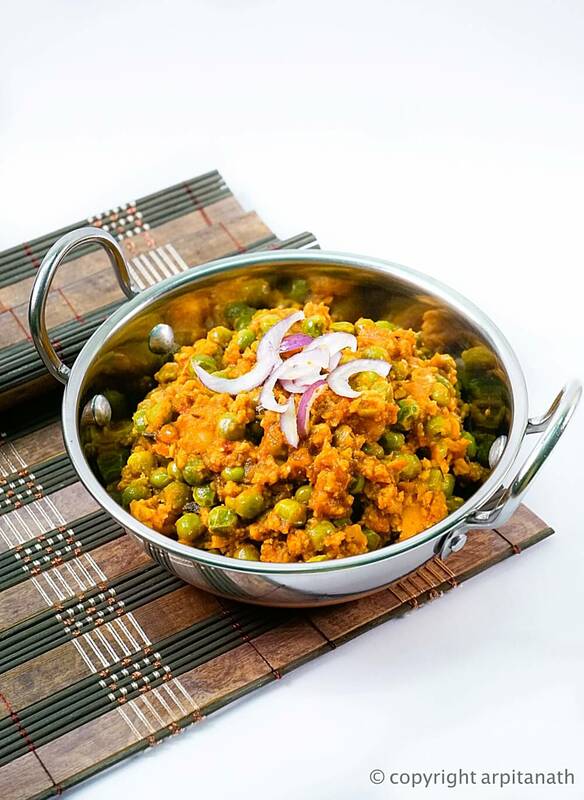 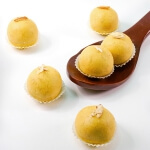 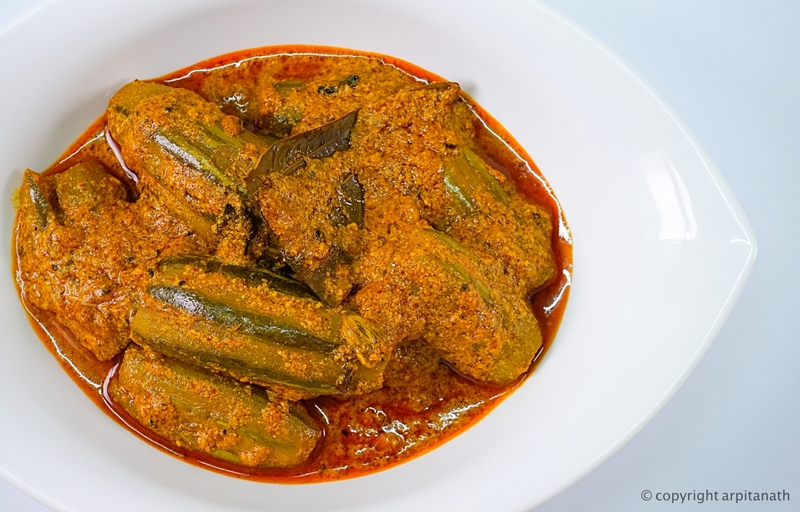 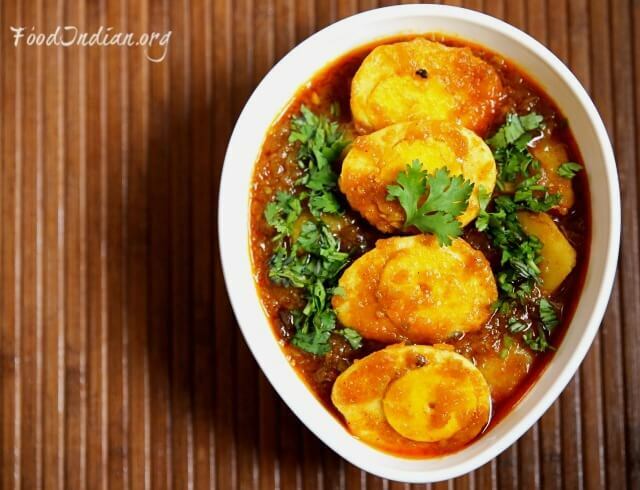 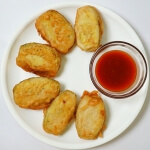 For more Bengali recipes, search here . 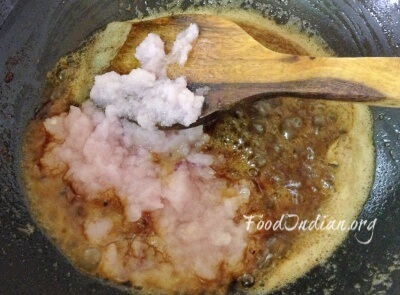 In the same oil, add ghee or clarified butter. 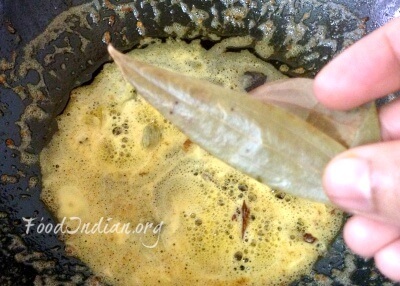 Then add crushed garam masala and bay leaves. 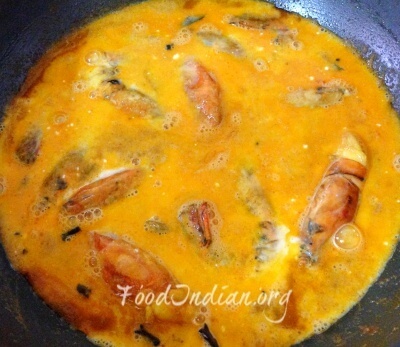 While they leaving aroma, add the onion paste into the pan. 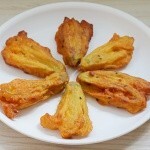 Fry for few minutes. 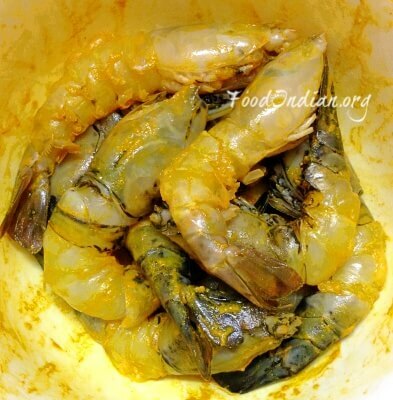 Add ginger garlic paste and fry for another 2-3 minutes. 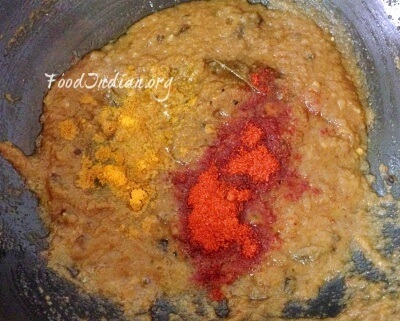 Meanwhile, add turmeric paste, red chilli powder and salt. 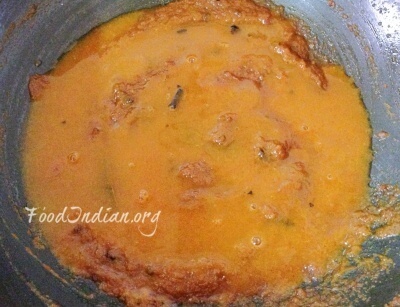 Cook the gravy until becomes deep brown and leaving oil from the sides. 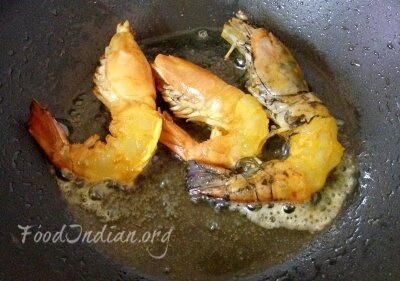 Then add 1/4 cup of water and add the sautéed prawns into the pan. 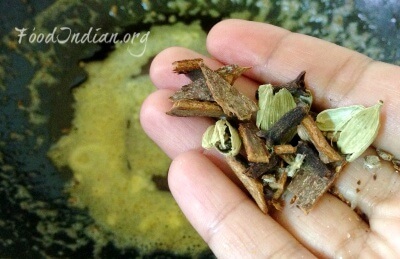 Stir them well. 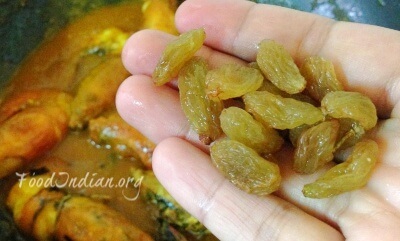 Add raisins and cook for 3-5 minutes. 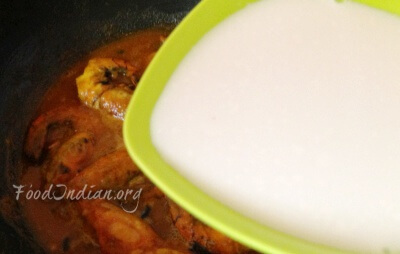 Now add the thick coconut milk into the gravy and cook for 5 minutes on medium heat. 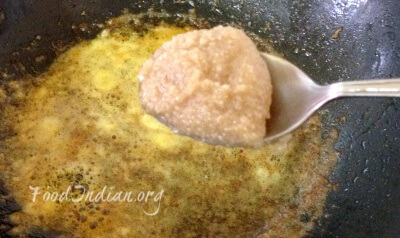 When the gravy starts to boil, add sugar. 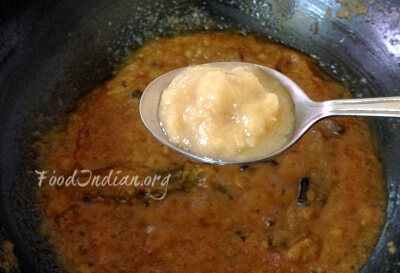 Cook until the gravy becomes little thick and rich. 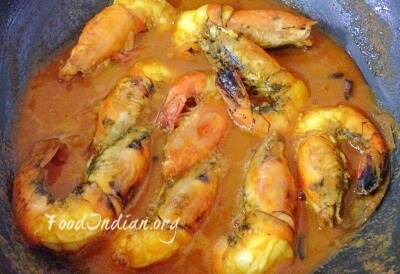 Here I have used bagda chingri, you can also make this dish by using golda chingri or lobster.